T_ADS and Obuchi Laboratory are pleased to present a free online course available worldwide via edX. 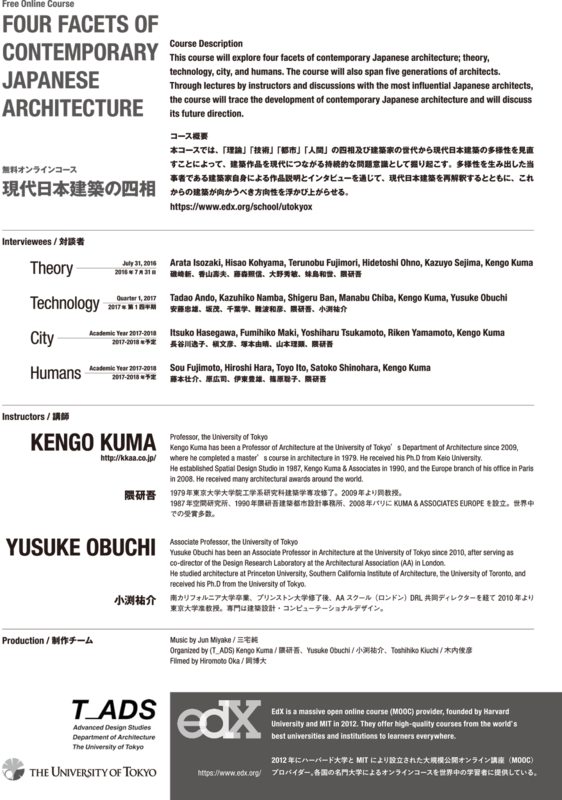 The course is presented by Kengo Kuma and Yusuke Obuchi, who have invited other leading Japanese architects to participate. 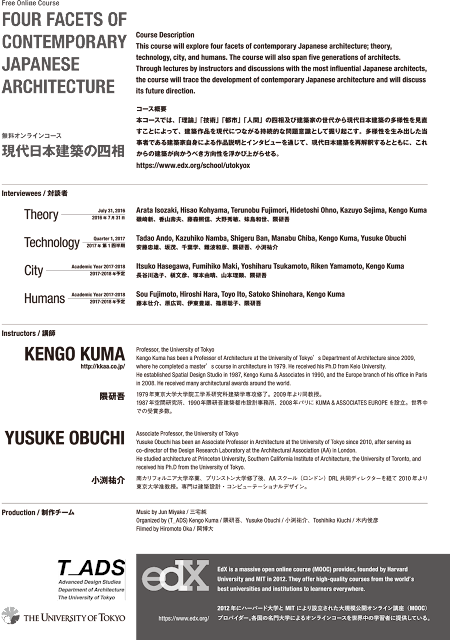 Course materials are presented in Japanese with English subtitles. 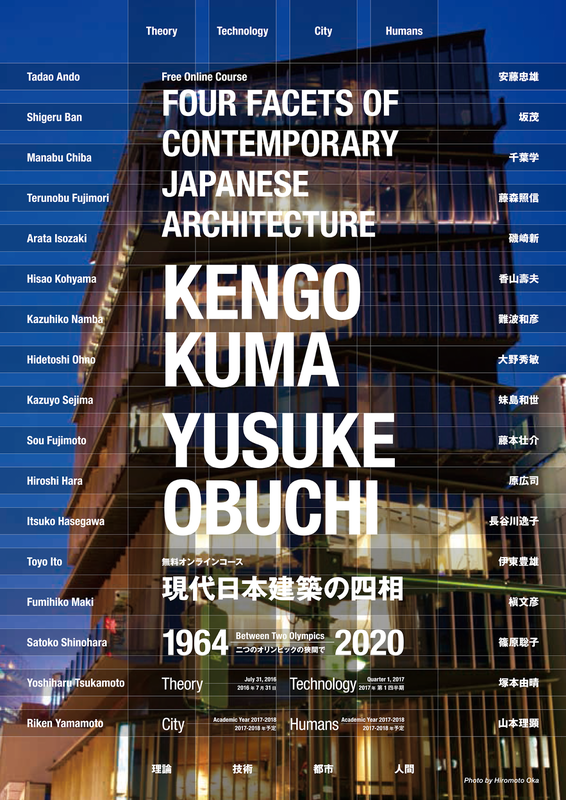 Framed between the two Tokyo Olympics of 1964 and 2020, this series will explore and reflect on the diversity of contemporary Japanese architecture by focusing on four facets: theory, technology, city, and humans. Through lectures by instructors and discussions with some of the most influential Japanese architects, the course will trace the development of contemporary Japanese architecture and will consider its future direction. For additional details and enrollment, please see the course page.